Once upon a time, Lance Armstrong was one of the biggest sports figures in the world. Winning seven straight Tour de France titles not only made him an American icon but also a global legend. What’s more, much of his success came after he beat cancer. Armstrong turned that fame into charitable success with Livestrong and their ubiquitous yellow bracelets. But always hanging over him was the suspicion that he cheated to win. No tests have ever come out proving beyond a shadow of a doubt that he used performance-enhancing drugs and blood transfusions to cheat, but over the years, colleagues and fellow pro bicyclers made their accusations. Bit by bit evidence piled up until the United States Anti-Doping Agency last year stripped him of his Tour de France titles. We wanted to believe Armstrong was legit. I know I did, but I also cheered for Floyd Landis when he won his Tour de France, even though we later found out he used drugs to win. I don’t like living a cynical life, but the trope is often accurate: If it’s too good to be true, it probably is. Photograph: Paul Coster on Flickr. But I appreciated how much it meant to our fan base. It really did mean a lot to them. It was kind of a cause they championed and I appreciated their feelings but beyond that, I really did not concern myself with it. That’s one of the great things about this band. After watching the documentary Beyond the Lighted Stage, you see how grounded Geddy, Alex Lifeson, and Neal Peart are. They appreciate their fans. It has to be mindblowing to them to have thousands of people show up for shows all over the world and listen to them play for nearly three hours while simultaneously singing every line and playing air guitar and drums. What changed my mind? It’s not as if I’ve since seen the light and want to recant that old review (I don’t), or that allegiance to Rush was part of some agreement I signed upon moving to Canada. Rather, it’s that Rush has gotten better over the years. Unlike most rockers, who peak in their first decade and spend the rest of their career either treading water or slowly sinking, Geddy Lee, Alex Lifeson and Neil Peart have continued to grow over the decades. They play better now than they did then, they take more chances musically, and they write more interesting material. Frankly, I can’t think of many other bands I could say that about. To all of you who laughed at “The Trees,” Rush (the band) will be laughing all the way to Cleveland. Go to Rush is a Band Blog for more coverage. Heart, another deserving band will also be inducted. Unfortunately for some strange reason Deep Purple won’t. The ceremony is April 18, and I’m going to try to be there. Now, enjoy some great Rush songs. Which isn’t much of a strategy. And if they somehow succeeded in replacing Boehner and we continue down the path of deficit spending, will American Majority take any responsibility? Or would they launch another campaign to boot that Speaker? Today is an important day. We’re at a critical moment in our country’s history. The decisions voters make today will be with us for generations. If you haven’t already, I urge you to vote for Mitt Romney for President. 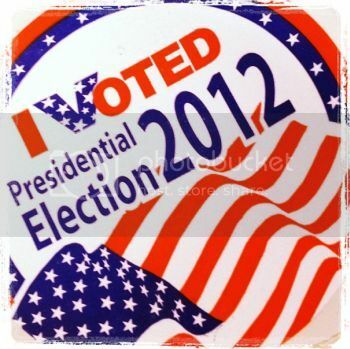 The United States made history four years ago by election Barack Obama. But today, we must move “forward” (to borrow the President’s slogan), and we’ll do that by electing Mitt Romney as our next President. I have two Senate races I care about the most. If you live in Virginia, please return George Allen to the Senate. And in Wisconsin, please send Tommy Thompson to the Senate. If you don’t agree with my choices, that’s fine. Please take part in your government. Men and women have served and died to protect your right. $18,000 is a big number. Where did it come from? After a Google search I determined Planned Parenthood is the source. 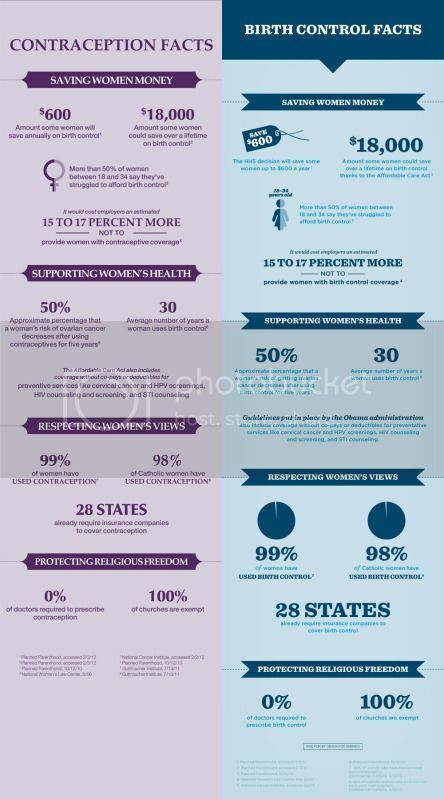 A Spring 2012 newsletter from the Nassau County (NY) Planned Parenthood office has an infographic explaining that the health care law could save women as much as $18,000 in birth control costs over their lifetime. There’s a lazy graphics designer on Team Obama. 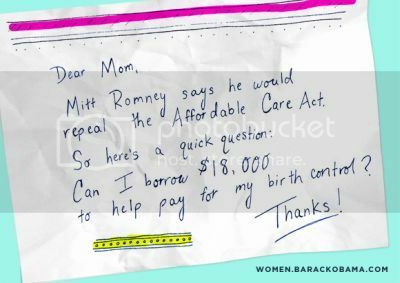 The campaign treats Planned Parenthood talking points as gospel. This is a good, short mix from a good DJ/producer team. 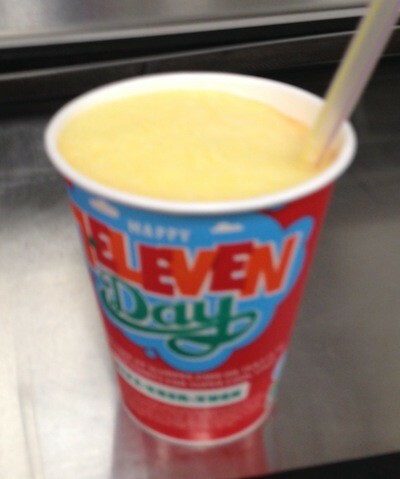 I didn’t let these 7-Eleven Day party poopers get me down. After work, I stopped to get me a cold, sweet, preservative-filled Slurpee. Pina colada to be exact. Next year’s Coachella could be the last in Indio, California, where the music and art festival has taken place since 1999. Indio’s Desert Sun reports the festival’s promoters are warning they will take the shows out of Indio if the city goes through with a proposed admissions tax. The Indio city council member pushing for the tax backed off when he realized the threat was real, jobs would be lost, and the city would suffer. Think about this when blindly assuming nothing negative will happen if taxes on high-income earners are raised like President Obama and the Democrats propose. Should the Supreme Court keep a large portion of the Patient Protection and Affordable Care Act (PPACA) on the books, companies could get thwacked with an unauthorized tax according to Professor Jonathan Adler and Michael Cannon of the Cato Institute. In a USA Today op-ed, they tie together the employer mandate, health insurance tax credits, and health insurance exchanges to be created under Obamacare. The wrinkle is “state-run” exchanges. 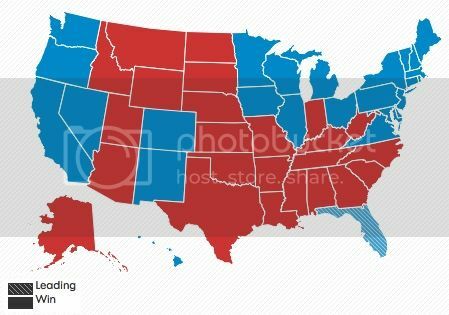 Because of political opposition, many states haven’t created them. In response, the Department of Health and Human Services (HHS) has said they’ll run federal exchanges for those states that don’t have them. On May 18, the IRS declared that tax credits will be available for employees to buy insurance through these federally-run exchanges. The language limiting tax credits to state-established exchanges is clear and consistent with the rest of the statute. The law’s chief sponsor, Senate Finance Committee chairman Max Baucus (D-Mont. ), is on record explaining creation of an exchange is among the conditions states must satisfy before credits become available. Indeed, all previous drafts of the law also withheld credits from states to push them to cooperate. At The Volokh Conspiracy, Adler points out that the “IRS rule may be illegal, but that doesn’t mean there will be a lawsuit.” However, the IRS making available tax credits from federal exchanges would trigger a penalty on the employer because of the employer mandate. “So by expanding tax credit eligibility to federal exchanges, the IRS is exposing employers in states without their own exchanges to financial penalties, and this should be sufficient for an affected employer to file suit,” Adler writes. The Supreme Court’s ruling on Obamacare could make this moot or open up another line of lawsuits. For a taste, here’s “Headlong Flight,” a song that starts with a great bass line and drives further ahead. Then watch an interview with bassist Geddy Lee about the story behind the concept album and what keeps him interested in playing after 38 years. Rush (the band) leaked the song, “Headlong Flight,” off the upcoming Clockwork Angels album. It has a 70s prog rock vibe to it, but tighter. It reminds me of something that would fit well on Moving Pictures. Take a listen and let me know what you think. From the I Love You, It’s Cool album.